Can you believe April is almost here? This year is already getting away from us! 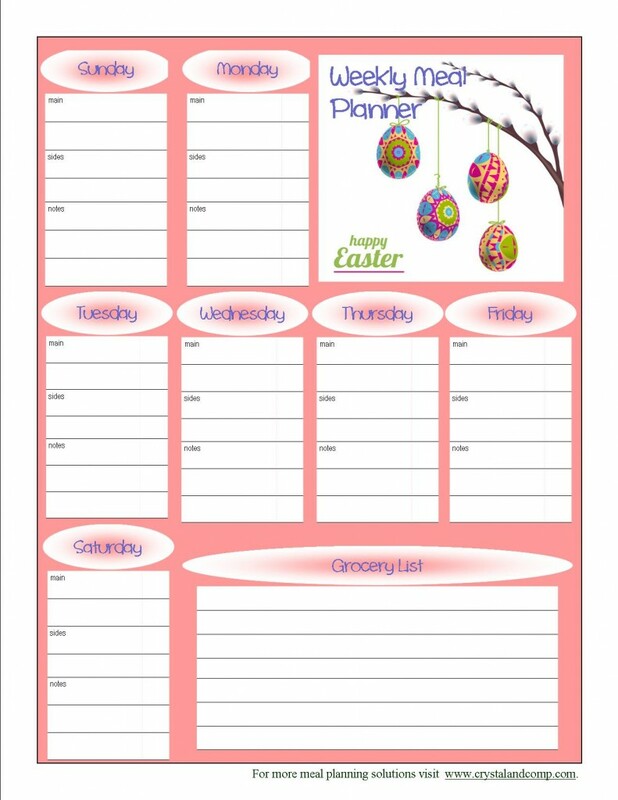 A new month means a new free printable meal planner! This one is themed for Easter and the month of April. I love it. Feel free to laminate it and use a dry erase marker with it OR print a new one each week. I like to print it on card stock. You can print it here. Writing out your meal plan is one of the first steps of making you accountable for getting dinner on the table each night. Yay Kat, I am so glad you like it. thanks for this adorable printable. Thanks for linking up at Tell Me About It Tuesday. We hope you hop over and share with us again next week. Crystal, I can’t thank you enough for sharing these every month! I love printables! I love planning, now I need to print and use this for meal planning 🙂 Thanks for sharing on Tell Me About It Tuesdays. Yay! I love seeing other moms enjoying meal planning. It is so essential.